Formula X nail polish in "Blushing" | black Sharpie | Butter London "Cotton Buds"
What a fun blog you have here! I just discovered it, and I'm absolutely loving your style. 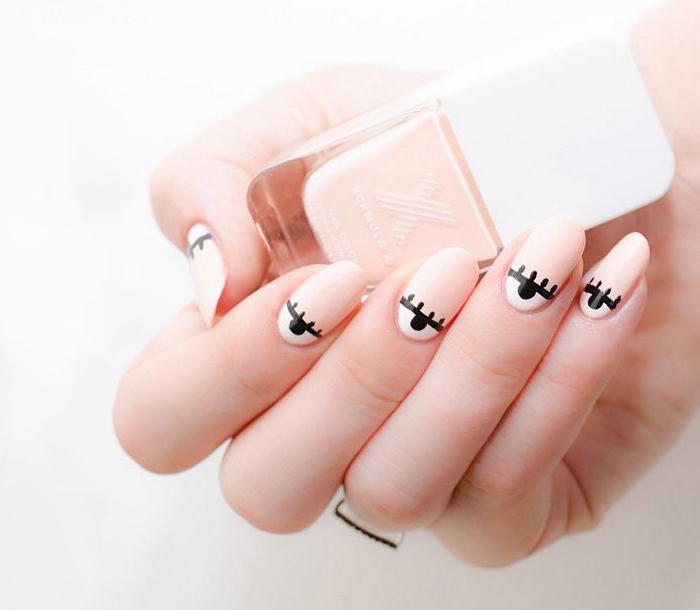 What a fun way to do your nails. I'm awful with nails, but if I was better, I would definitely try this!